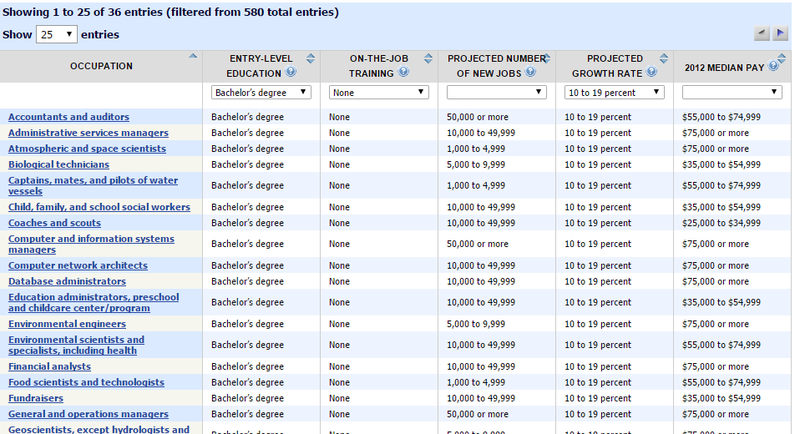 Recall from our first step that of the 381 occupations which require college degrees, not all of them are in demand. Some occupations which were considered solid bets just 20 years ago - like newspaper editors, reporters, correspondents - are declining in demand as the world has changed the way it consumes news turning to blogs, social media sites like Facebook and Twitter, and opinion sites like Reddit. With the manufacturing industry having left the US to go to destinations such as China, Korea and Vietnam, the number of people in industrial roles - such as production managers and industrial planners - has begun to dwindle. Other occupations are barely growing because related industries are not growing. With the US government spending less on defense and space exploration; with increased competition from foreign companies such as Airbus and Embraer, the demand for aerospace engineers is barely growing. After the huge financial crisis in the last decade triggered by reckless home building, there is not a lot of demand for appraisers and assessors of real estate. We will focus on how to use world-class databases to find occupations in demand and industries that are upward-trending. If you decide to pursue these careers and get trained accordingly, your return on investment is likely to be high. But perhaps your interests do not necessarily align with such high octane careers. Since you will still need a job to help pay your bills, we will show you how to find job clusters - concentrations of companies - for your desired field. 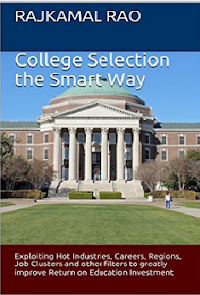 The premise is that if you go to college nearby these clusters, you will become a local candidate with specific skills. Studies have shown that companies and organizations are more likely to offer opportunities to intern with them when you are local - and later offer you jobs after graduation. 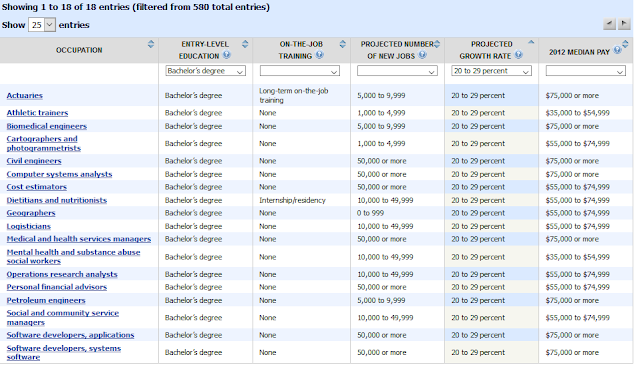 The Bureau of Labor Statistics maintains one of the most useful and comprehensive databases for the federal government. Called the Occupational Outlook Handbook, it is the government’s guide to career information about hundreds of occupations. The site is packed with user-friendly drop down lists, filters, data, maps, tables, economic analyses and detailed descriptions that only the government’s huge resources can compile and maintain. 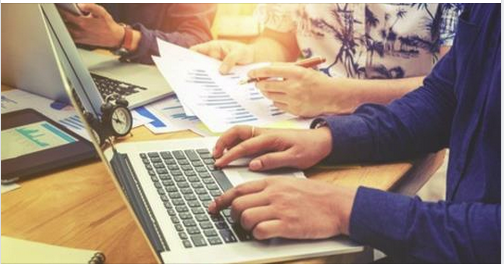 Armed with some of the country’s best labor, macro and micro economists, BLS statistics form the linchpin of the modern information-driven economy, from Wall Street to Main Street. The homepage of the site provides an easy-to-use dropdown menu to search for occupations. Of interest to us are two fields - the Entry Level Education and the Growth Rate. Setting these two fields to “Bachelor’s degree” and “30 percent or faster” (the hottest careers) results in four occupations as below. For example, computers and computer systems are everywhere and with regular stories in the press about how they are less safe now because of hacking and other attacks, it is no wonder that there is a great demand for Information Security analysts. 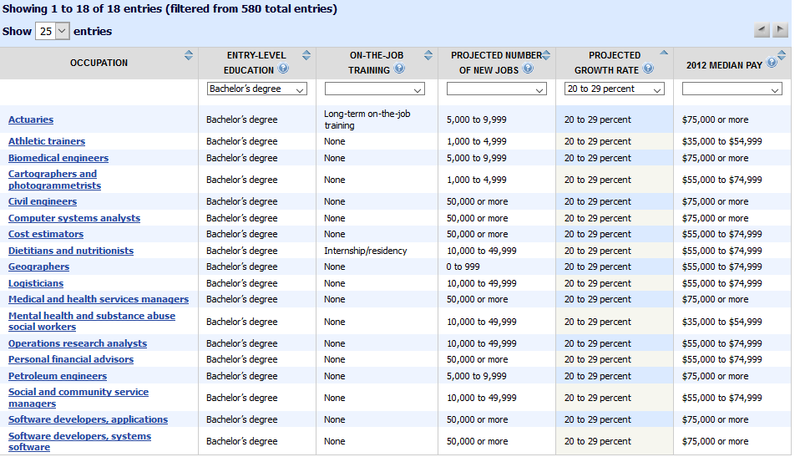 Setting our filter fields to “Bachelor’s degree” and “20 to 29 percent” (the next hottest careers) results in eighteen occupations as below. All jobs cannot grow at breakneck speeds of 20% or higher. The following table represents 36 occupations that are growing relatively fast, at 10% - 19%. Remember that the US population is growing by about 1% each year, so a 10% job growth rate is still pretty impressive. If you can imagine working in any of these professions because you are committed to go to college to learn the required skills and you feel you will enjoy your work day, you can rest assured that your career will take off and stay stable for many years to come. It is not good enough to know if a particular career is hot. You also need to know more about the industries which are likely to hire you into these jobs. Then you can find specific geographic clusters of companies in these industries so that you can plan to go to college in those regions. As we have said before, being local to opportunities gives you an advantage to network with industry leaders, cultivate mentors, and find internships and jobs. Knowing more about industries is important for another reason - the kind of experience you will earn. Working as a computer systems analyst in a company that creates software (like Microsoft, Apple or Google) will prove to be a very different experience from working for a small computer operations department in a large manufacturing firm, for example. You will likely learn more from your peers and superiors at the software company and intellectually grow faster. But at the manufacturing firm, you could develop a niche expertise of your own and become such a valuable player in the company that your job satisfaction could be higher. About twenty years ago, a new term was coined (STEM) to denote fields that leverage skills in Science, Technology, Engineering and Mathematics. Careers in fields such as Chemistry, Physics/Astronomy, Engineering, Environmental Sciences, Geo Sciences, Life Sciences and Mathematics are all considered to belong to the STEM family of professions. For an advanced economy as the US, it is not surprising that of the 381 careers that the ONET database lists as those requiring a college degree, over 40% of them (167 careers) are classified as STEM professions. To maintain the country’s STEM edge, several regions in the country use federal, state, local and corporate dollars to invest in research and technology parks. These areas invite the best companies to co-locate on a large campus and encourage their scientists and engineers to create the next life-saving drug or imaging technology. Consider the Cummings Research Park, in Huntsville, Alabama, the second largest corporate research and technology enclave in the United States. Located adjacent to NASA’s Marshall Space Flight Center, this park hosts over 285 high-technology companies serving the U.S. Aerospace and Defense sectors, as well as scientists and entrepreneurs at the Hudson Alpha Institute for Biotechnology. 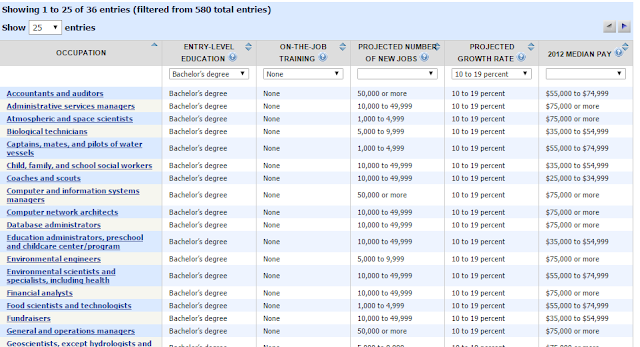 This example serves to highlight the importance of job clusters and how your ROI can improve. Here is a list of the most vibrant science, research and technology parks in the country. 18. Silicon Slopes - Salt Lake City, Utah including Utah County (Provo, Utah) and Summit County (Park City, Utah) and surrounding areas. 19. Silicon Valley - San Jose, California and suburbs. San Francisco and other areas sometimes included as well. 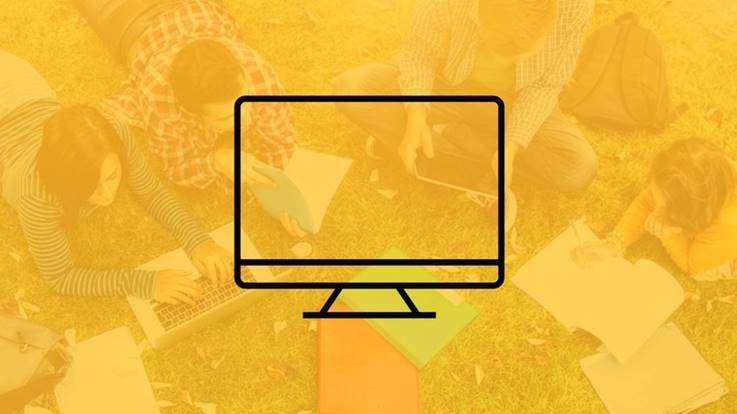 If your interests are to pursue a STEM career, consider adding colleges in the vicinity of these parks to your college short list. Nearly 60% of the jobs in the US that require a college degree are not in the STEM fields. But many people in these professions - Art Directors, Choreographers, Copy Writers, Interpreters and Translators - are self-employed. Job clusters are less important if you plan to be self-employed. For those professions that are not self-employed and not-STEM, the process to find job clusters and company concentrations is a little more involved but achievable. The best way is to illustrate with an example. Suppose that as a high school student you have been fascinated by the freight, logistics and transportation industry. You are the kind of person that watches trains at rail yards and collects pictures of airplanes landing or taking off. You love an industry that transports people and goods but don’t want to be on the road like a locomotive engineer or a pilot. Would a career as a Freight and Cargo Inspector interest you? Your first stop would be at the ONET database in whose search box you would type “Freight” and from the occupations listed, you would click on Freight and Cargo Inspectors to generate a summary report. The last line lists the industries that hire such professionals. We will ignore the government as an option for now and click on “Transportation and Warehousing” to learn more about all the many related careers in this industry. As you browse the list, you may begin to feel comfortable that this is an industry you would like to work in.